60 years of All Black photography by Peter Bush. New Zealand’s leading rugby photographer Peter Bush describes capturing an All Black game as ‘a total workout’. His powerful photographs are hard-won: the result of chasing the game up and down the field, while others set up their cameras and wait for the game to come to them. As a young cadet at the New Zealand Herald in 1949, Peter Bush photographed a game between the All Blacks and the Wallabies in Auckland. Since then he has photographed hundreds of matches at home and overseas. 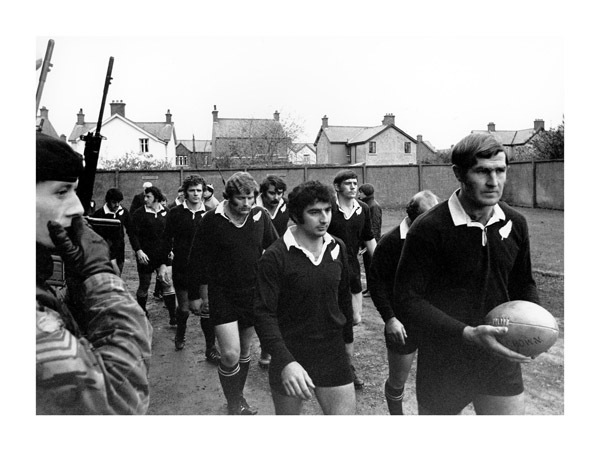 No other photographer has had such privileged access to the great All Black teams, on and off the field. His work has appeared in countless publications world-wide, and he has also published three books, including The Game for all New Zealand: through the lens of Peter Bush (1989). Peter Bush’s iconic photographs capture the great moments, games and players, and all the drama and emotion of New Zealand’s favourite sport over a 60 year period. 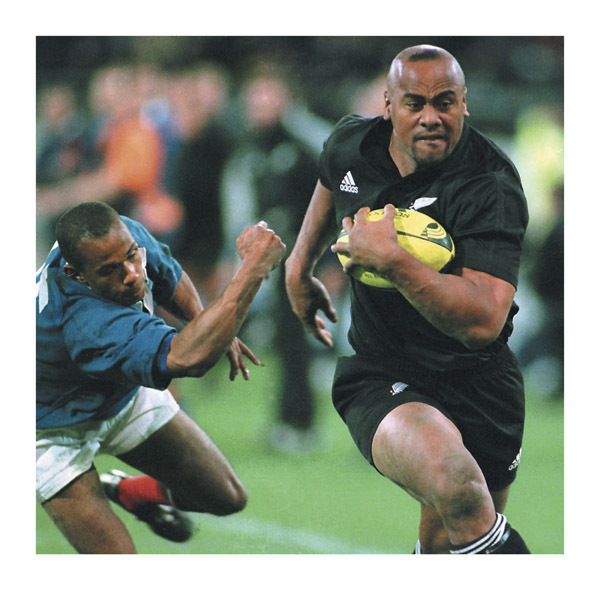 The All Black legends are all there, documented in his work: Bob Scott, Sir Wilson Whineray, Ian Kirkpatrick, Colin Meads, Graham Mourie, Jonah Lomu, continuing on to the current crop of New Zealand’s top professionals. Great players from other rugby nations are also well represented. But there are layers of history and social comment embedded in Peter Bush’s work. 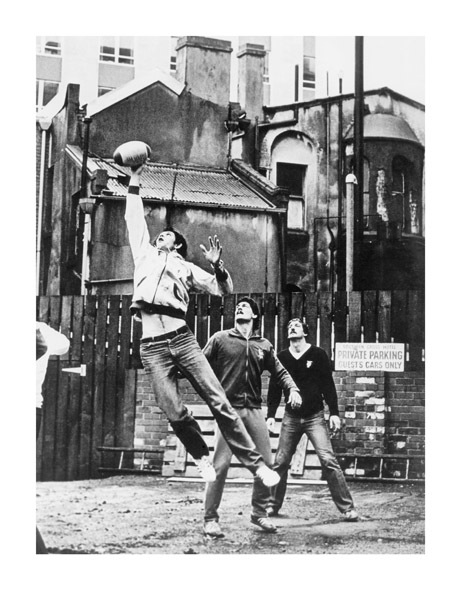 His photographs capture the All Blacks in apartheid South Africa, in Belfast during the ‘Troubles’ of the early 1970s, and during the Springbok tour in 1981. Bush’s career spans a period of growing professionalism in rugby and changing technology in the media. Before satellite television, however, his wired images were some of the first images of far-off matches to be seen by local fans. Bush is an outstanding raconteur with an encyclopaedic knowledge of rugby, who maintains close friendships with many former All Blacks and players from other countries. His story will feature in Hard on the Heels, as well as his personal view of famous moments and personalities. Hard on the Heels has great potential to attract new audiences to galleries and museums. Peter Bush is happy to participate in public programmes and corporate events by request. The exhibition could also act as a magnet for past and present All Blacks who might be enticed to share their time and experiences either at corporate functions or in-house public programme events. The exhibition will consist of over 100 mounted photographs, as well as a set of mural size works of around 1m x 1.2m. The images will be drawn from Peter Bush’s vast library of photographs, and will include his personal favourites: great moments, the controversial and contentious, and humorous behind-the-scenes shots of teams relaxing after games or while on tour. The stories behind selected photographs will be captured through an audio visual project to be produced especially for the exhibition. Peter has a natural ability to communicate his many experiences, particularly those of being in the slipstream (or hard on the heels) of the All Blacks. A must see for the die hard fans or anyone wanting an entertaining inside story (not to mention a great laugh!). We are proposing a 20 min DVD format (continuous loop). 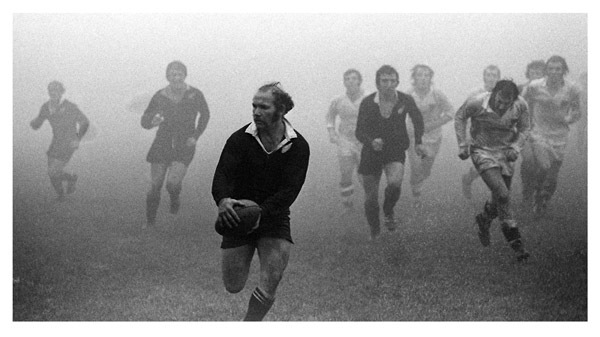 Due out later this year, ‘Bushy’ (as he is affectionately known to his friends and colleagues) will chronicle Peter Bush’s long relationship with New Zealand rugby culture and offers another reference point for many of the images in the exhibition. It will also document the other side to Peter’s remarkable career as a free-lance photographer. Available from early 2010 up to and beyond the Rugby World Cup 2011/12. Maximum of eight week time slots or by negotiation. Hard on the Heels is being developed and produced by Exhibition Services Tours in association with Peter Bush. Over 100 12″x15″ mounted photographs. Audio visual. 30 minute (approx) DVD format. Intro panel, artists statement panel. – publicity & attendance sheets. Lockable cases for any memorabilia and ephemera. Data projector or player/monitor for DVD production. Space requirement 90 running metres (flexible). $8,000 – 12,000+gst neg (lead up venues). Fee includes freight between venues. Fee includes marine transit insurance. Copies of recent released autobiography available. Book available at wholesale rates TBC. Aratoi Museum, Masterton. 14 May, 11 July. Millennium Gallery, Blenheim. 16 July – 22 Aug.
Te Manawa, PN. 4 Sept – 19 Dec.
Sarjeant Gallery, Wanganui. 5 Feb – May 8. Southland Museum, Invercargill. 8 April – 26 June. Nelson Provincial Museum. 13 May – 16 July. Puke Ariki, New Plymouth. 20 May – 24 July. Dun. Otago Museum. 16 July -6 Nov.
Wgtn. MOWCAS. 27 Aug – 30 Oct.
ChCh. Canterbury Museum. 5 Aug- 6 Nov.
Akld. Backing Black club-house,Viaduct Basin. Whangarei Art Museum 12 Sept – 27 Nov.